I can remember, vaguely, the day she was born. I may not remember exactly the details but I can recall getting her older sister primped and ready for the hospital. I can remember being thrilled to have another cousin, especially a girl to doll up and play with. We use to watch Saturday morning cartoons together. We use to do the Barbie workout together. I can remember playing with her as if she were just a doll in our little game. She seemed to love it. Who really knows. I’m glad I have these memories. Cousins are important people. They’re more than just friends and family. It’s a difficult relationship to describe. Times have certainly changed. That same little girl is now a beautiful young woman. She’s sweet as can be, charming, hilarious, and stunning at whatever she does. She and her sister amaze me constantly. Just like their momma. Those three chics I most certainly could not live without. 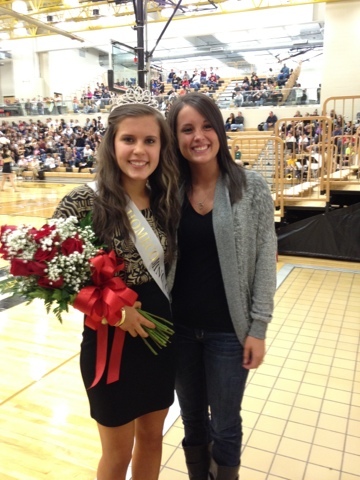 I was so excited when her name was called last night for homecoming queen. 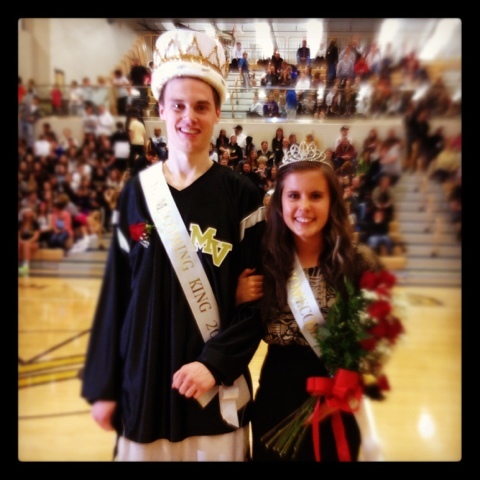 MV couldn’t have chosen someone more deserving to represent their school.